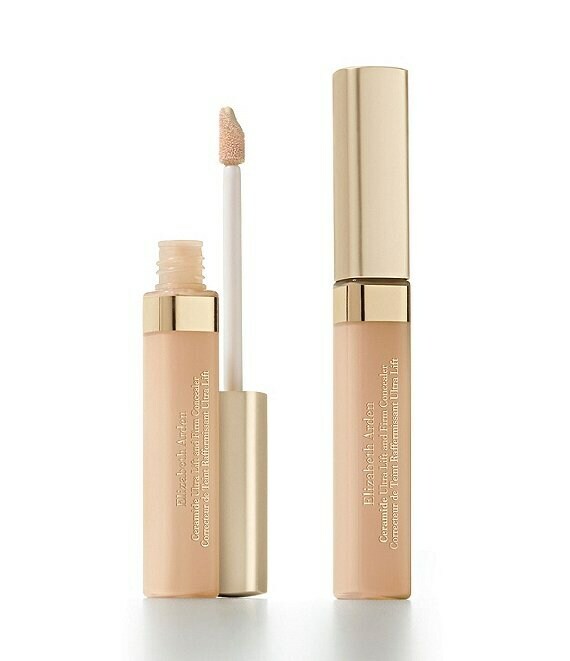 This high-coverage, ultra-creamy concealer with Cellular Plumping Technology smoothes fine lines, covers dark circles and hides imperfections as it brightens and lifts the look of skin. CPT works to smooth and relax the appearance of surface lines as it targets deeper wrinkles to firm, lift and redensify the look of skin. CPT also works with Eyeliss to help tighten, tone, soothe and brighten the appearance of under-eye skin while diminishing the look of sagging, puffiness and dark circles. Ceramide Triple Complex is a blend of skin-identical ceramides 1, 3 and 6, enhanced with phytosphingosine, which helps strengthen, re-texturize and hold vital moisture within the skin. The lightweight, crease-proof, full-coverage formula blends easily and lasts all day. A high level of micro-fine, light-diffusing pigments helps cover dark circles and blur the appearance of fine lines and wrinkles, leaving the skin around the eye area looking refreshed and youthfully bright. Vitamins A, C and E moisturize the skin by providing vital antioxidant protection.